The eight initiatives described below are key areas in which your gift can help to advance the Department's research and teaching missions. This scholarship will be awarded annually, beginning in Spring, 2017, to an outstanding junior majoring in linguistics, for use in the senior year. The scholarship will recognize outstanding achievement as a student, as well as potential for further success in linguistics. The scholarship is named in honor of Professor David Rood, who retired in 2016 after 48 years of teaching at CU. He was known for his advocacy for and support of students, especially those from special backgrounds or facing special challenges. 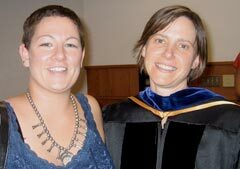 In the spring of 2007, the Linguistics Department created a Graduate Student Research fund. The fund provides support to students conducting fieldwork, whether abroad or in the US, and travel funds for graduate students presenting papers at conferences. The initial amount of the Fund was $20,000. The fund has since been supplemented by a $3000 contribution from the Graduate School. In the first year, the fund supported seven graduate students in their fieldwork or conference presentations. Donations to this area will help secure travel and research support that is vital for the professional development of our students. The Department of Linguistics hosts the Center for the Study of Indigenous Languages of the West (CSILW), a research team whose focus is the documentation and analysis of Native American languages of the western US and Canada. Members also assist tribes in maintaining, preserving, and revitalizing their languages where possible. Through a grant from the National Science Foundation (NSF), CSILW has provided linguistic training to four Lakota students who now lead language revitalization efforts on South Dakota reservations. A current NSF grant to Prof. Andrew Cowell is enabling CSILW researchers to expand online archives of Arapaho language texts and language-learning materials. Faculty and doctoral students affiliated with CSILW have conducted research on the Arapaho, Gros Ventre/White Clay, Nez Perce, Lakota, Wichita and Yavapai languages, among others. CSILW supplies language materials (at cost) to the general public and hosts a public-education website on the Arapaho tribe, the original inhabitants of the Boulder area when White settlers arrived. This site supplies extensive audio-visual material and language lessons for use by K-8 teachers in Colorado. Donations to this area will fund student research projects and field trips, digitization of language materials and the creation of a web-based distribution system for scholars and teachers worldwide. Most languages of Africa remain undescribed, and many are also endangered. Research efforts in the CU Linguistics department have produced first ever grammars of the following endangered languages: Kuteb (a Niger-Congo language spoken in Nigeria), Pero, Mupun (West Chadic languages spoken in Nigeria), Mina and Hdi (Central Chadic languages spoken in Cameroon), East Dangla (an East Chadic language spoken in Chad). Researchers in this area also study languages that, although not endangered, have structural properties of great theoretical interest. These include Lele (an East Chadic language spoken in Chad), Hausa, the lingua franca of Northern Nigeria, and Gidar (Northern Cameroon). In current work, CU Linguistics professor Zygmunt Frajzyngier and Research Assistant Professor Dr. Erin Shay, along with student collaborators, are creating grammars of two Central Chadic languages, Wandala and Giziga, and a Hdi dictionary in collaboration with a native speaker, Roger Prafé. The study of these languages reveals structures and functions that challenge much of our current thinking about language universals. Donations to this area will underwrite graduate-student research trips to Africa. Departmental research efforts target a wide variety of languages of Africa, the Americas, Asia and Europe, and use a wide variety of research tools and data sources, including fieldwork, statistical analysis of speech and collection of child-language data. We help build tools for linguistic research, including electronic dictionaries and online archives. We study the functions of grammatical constructions, conversational behavior and the role of language in the creation of social identity. Members of the CU Linguistics have received international recognition through awards, speaking and teaching engagements and prominent positions on governing and editorial boards. The CU Linguistics department is the only department of linguistics in the Rocky Mountain region, and therefore its invited-speaker series is critical to maintaining and creating ties with other linguistics programs throughout the US and the world. Donations to this area will enable us to continue welcoming nationally and internationally prominent scholars for colloquia, workshops and research interactions. Experimental and computational linguistics are changing the way that language data are collected and therefore yielding new insights into how we use and represent linguistic knowledge. The goal of computational linguistics is to get computers to perform useful tasks involving human language, like machine translation of documents or web pages, automatic question answering, or literacy training. 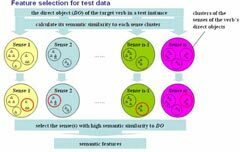 Building these types of systems requires an in-depth understanding of both linguistics and computer science, and relies on empirical analysis of vast amounts of data. Experimental linguistics uses experimental tasks to find out what the properties of human language are, how these properties change in different circumstances, and what kinds of things people know (both consciously and unconsciously) about the sounds and structures of language. We can use these results to develop and test linguistic theories and apply them to practical tasks in speech and language technology. Experimental work in CU Linguistics department focuses on language sounds and language acquisition. Donations to this area will enable us to purchase new equipment for data storage, recording and acoustic analysis and to compensate experimental subjects. The program in Culture, Language, and Social Practice (CLASP) is one of the nation’s leading centers of interdisciplinary research into the relationship between language and society. Headed by Prof. Kira Hall (Linguistics and Anthropology), CLASP provides for mutually enriching interactions between faculty and students from Linguistics, Anthropology, Communication, Education and Sociology through a graduate curriculum that stresses the connections among these fields. Major areas of research within the CLASP program include language and politics; the globalization of English; regional and social dialects; language, gender, and sexuality; bilingualism and multilingualism; language and religion; youth language; and language and the media. Languages of focus include English, Arabic, Hindi, Japanese, Tigrinya, Amharic, Arapaho, Chickasaw and Spanish. 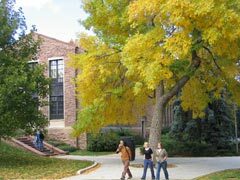 In 2007, CLASP began to forge connections with scholars beyond the University of Colorado through the creation of a biannual conference series. Donations to this area will provide funding for faculty and student research, the CLASP conference and invitations to outside scholars to present public lectures on sociolinguistics, linguistic anthropology and socially-oriented discourse analysis. The dialects spoken in Colorado are in many ways richer than even most locals realize. For instance, Colorado English is consistently identified as among the 'best' forms of English in the US by people from other regions. At the same time, the way that Coloradoans talk has long been recognized by sociolinguists as distinct from the English spoken in other parts of the West and Midwest. Further, there is no single type of Colorado English, as the Rocky Mountain region is home to numerous dialects, some of which have remained relatively isolated since settlement during the Pike's Peak Gold Rush in the mid-1800s. Colorado's important role in the early American West also set the stage for interaction among speakers of a number of different languages. In addition to different varieties of English, Colorado is home to indigenous languages like Arapaho and the special dialects of Spanish spoken in southwestern communities founded before the arrival of English-speaking settlers. Despite Colorado's fascinating linguistic history, very little linguistic research has focused specifically on our state. 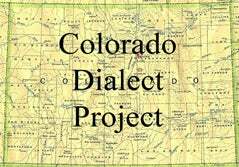 Scholars in the Linguistics department have therefore created a research initiative called the Colorado Dialect Project (CDP) in order to learn more about what makes Colorado dialects unique. Donations to the CDP will provide support for data collection throughout the state and the establishment of a multimedia library that will provide resources for teaching about language in Colorado.